Over time small changes can make a difference! With Earth Day coming up in two weeks (April 22), it’s making me think more about what I can do to make a difference in caring for the environment. I feel that most people think that they can’t make enough of an impact as an individual. But I believe that as long as we continue to do the little things, make our small changes, and educate others, over time it will make a difference. Global spending on paper towels in 2017 was about $12 billion. $12,000,000,000! That's 9 zeros! Americans accounted for about $5.7 billion of that $12 billion as the country spending the most on paper towels. $5,700,000,000! Whoa! Every day, over 3,000 tons of paper towel waste is produced in the US alone. To make one ton of paper towels, 17 trees are cut down and 20,000 gallons of water are consumed. That’s 51,000 trees that needs to be cut down and 60,000,000 gallons of water to make enough product to provide a day’s worth of paper towels for Americans. Yikes! It might be hard to completely cut out your use of paper towels, but you can start by switching to using reusable towels as much as possible. 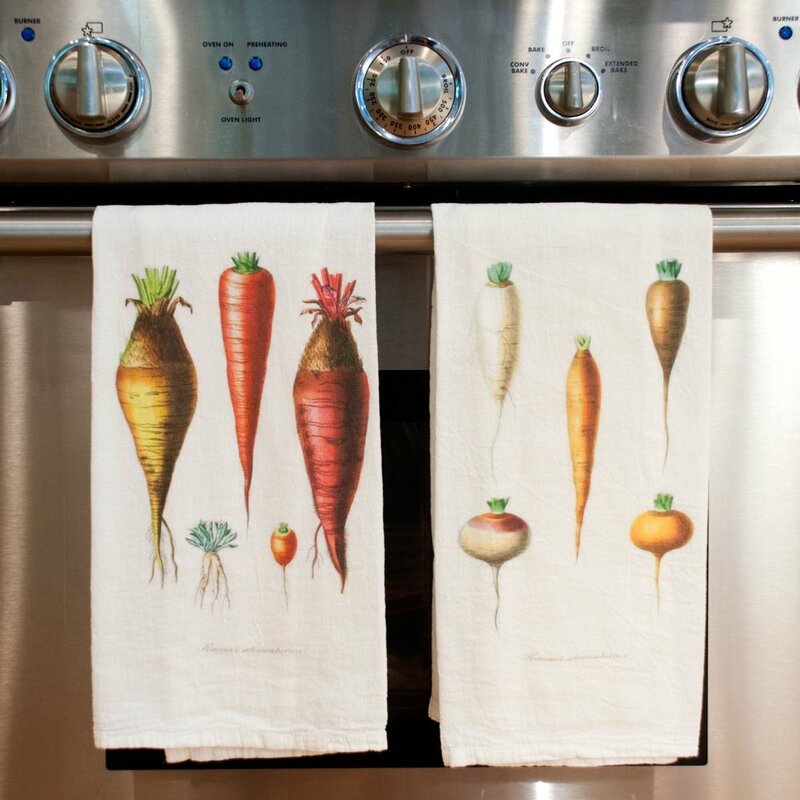 Flour sack towels are a great alternative because they are very absorbent and hold up over time. They are very versatile – use them to dry dishes, wipe up kitchen messes, wrap vegetables for storage, and even use them as napkins. Not only are they a highly functional item but also a nice addition to your kitchen decor! Plastic bags are used for an average of 12 minutes. It takes 500 (or more) years for a plastic bag to degrade in a landfill. 500 years! And apparently Americans use 100 billion plastic bags a year. 100,000,000,000 bags! That's so many zeros! Ugh! I was happy to hear that like other cities across the country have done, Boston's plastic bag ordinance went into effect on December 14, 2018. Instead of single-use plastic bags at stores, you'll be able to purchase a recyclable paper bag, compostable bag, or a reusable bag for a minimum of 5 cents per bag. Yay Boston! Of course, it's even better when you save your money and reduce waste by bringing your own bag! Canvas tote bags are great for hauling groceries or carrying everyday essentials around town. Measuring at 14”W x 17”H x 7”D, these heavy duty high capacity 100% cotton totes are spacious and durable enough for to fill it to your heart's content!